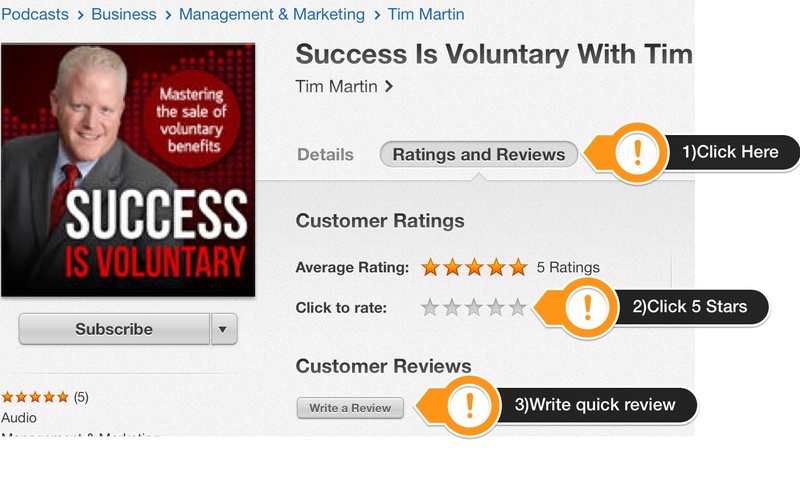 Thank you for taking the time to rate the Success Is Voluntary Podcast in iTunes! Below is a quick tutorial for those of you who have never rated a podcast before. 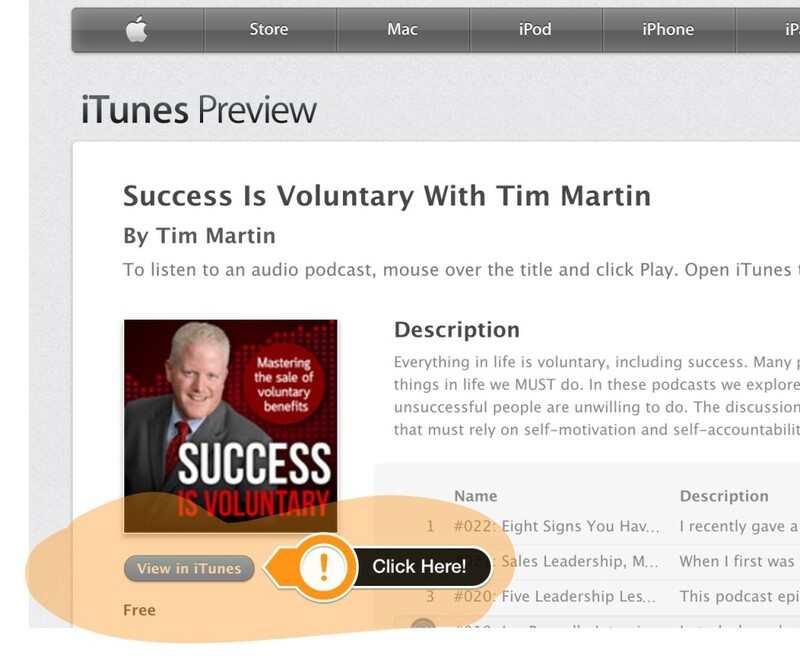 If you are a seasoned pro, then you can click this link and skip the rest of this page: Rate SIV Podcast Now While you are there, you might want to subscribe on iTunes as well. I’d hate for you to miss an episode! 7) That’s it! See how easy that was?!?! I really do appreciate you taking the time to rate the Podcast. It truly does make a difference in keeping it in front of new subscribers. 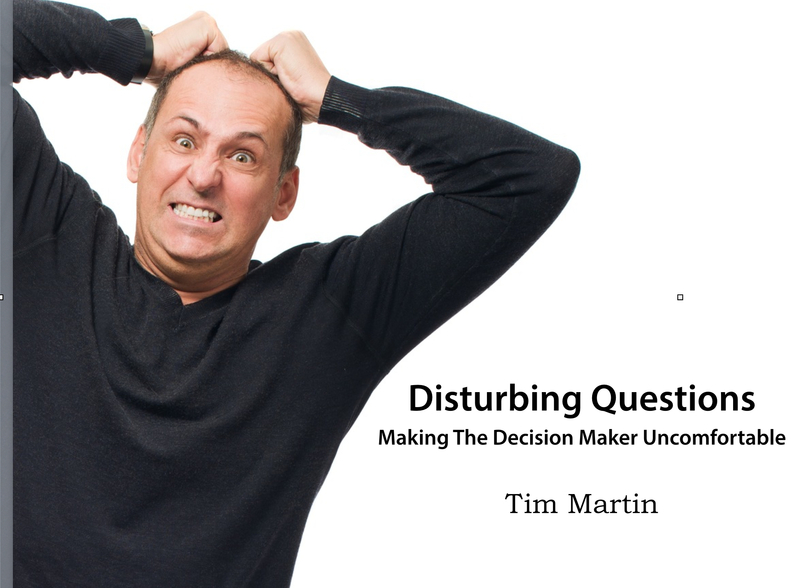 As a thank you for rating the podcast, each week I will pull a name of someone who left a review and send them a copy of my latest eBook: Disturbing Questions – Making the Decision Maker Uncomfortable. I don’t usually do this, but I came across a free resource that I think you will be excited about. The name of the website is Success Is Voluntary. Each week they have great blog articles, resources, and podcast interviews with thought leaders in the sales, self development, training, and leadership arena. Even people like Sales Guru, Tom Hopkins show up from time to time! Success Is Voluntary started as a resource for sales people and sales leaders in the Voluntary Benefits arena but has grown to much more. As Tim Martin (the founder of Success Is Voluntary) would say, “You don’t have to check out this incredible resource. It’s completely up to you. In fact it’s voluntary…. So is success! Thanks again for being a subscriber!! !